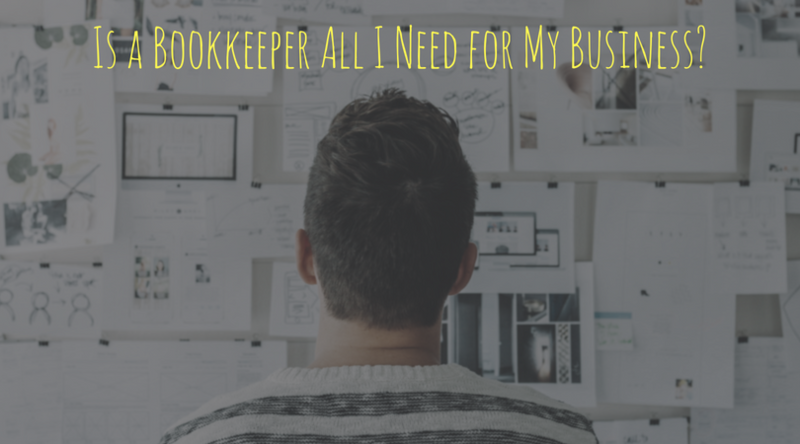 Is a Bookkeeper All I Need for My Business? This is a very common question among business owners. At times it can be hard to determine the level of accounting service you might need for you business. Let me see if I can shed some light on this situation. When Alex and I first started The Quantify Group, our focus was doing tax return preparation. We had both come from bigger firms and felt confident doing tax work for clients. However, as we began to work with small business owners more and more, we saw a huge need in the market. Many of these owners had a bookkeeper for their business but their accounting department pretty much ended there. They weren’t doing any financial analysis and in most situations weren’t getting any financial advice from their bookkeeper. While they didn’t need to necessarily hire a full time controller or CFO, we felt like they needed some better direction in order to see their business grow. At this point, we decided to shift our business model to meet the needs of the market. Enough about us, lets get back to the question at hand. I know this next statement may not sit well with some people but the more time we spend in the market, the more we find this to be true. In our opinion, companies that try to “get by” with just a bookkeeper aren’t truly serious about their growth. They are okay getting minimal information and not having someone guide them through the financial journey of their business. Let me preface that statement by saying two things; first, you can absolutely have success with using just a bookkeeper. Plenty of businesses have been doing that for years and it certainly can work. Second, some business actually only need a bookkeeper if they are small enough or don’t have a ton of complexity yet. My point in saying this was that some companies are simply trying to cut costs by “getting by” with a cheap solution instead of investing in their business. That is who my statement was geared towards. Let’s look at a quick analogy before we wrap this up. When you build a house, probably the most important part is the foundation. Without a strong, rock solid foundation, the rest of the house is essentially worthless. The same goes for a company. Your financial health is the foundation on which your business thrives or dies. Having a strong accounting department sets the tone for the success of your business. While a bookkeeper is probably the cheapest option, they will also provide you with the weakest foundation. Would you build a house on a weak foundation? Most likely not. You need to treat your business the same way and make the investment. I know some people will probably disagree with some of the things I have said but I am speaking from personal experience and observation. Like I have said many times before, I love seeing small businesses thrive and I feel like properly investing in your accounting function is a huge piece of that puzzle. I appreciate you following along and welcome any comments or questions you may have. Reach out to me anytime and let’s chat. Have a great weekend!